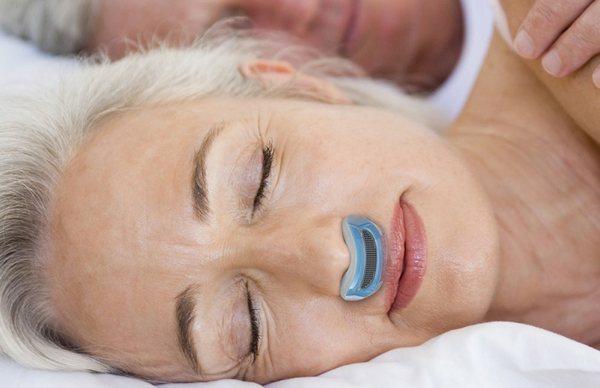 If this little gadget called Airing really does prevent obstructive sleep apnea, then it's a big deal. The Indiegogo-funded project is described as the first hoseless, maskless, micro-CPAP. Traditional CPAP (continuous positive airway pressure) machines are expensive, big, cumbersome, uncomfortable, and depressingly ugly. It's about time something came along to replace them. Airing plugs into your nostrils and a bank of "massively parallel" tiny battery-powered bellows blows air into your nose, moving the soft tissue that's blocking your air path. They are expected to cost $3 each and will last 8 hours using a zinc air battery.